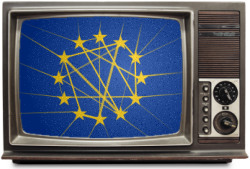 EU citizens: Save Internet from being turned into a TV! Paris, Mar. 23rd 2009 – Harmful amendments to Telecoms Package 2nd reading may be voted on March 31st in IMCO and ITRE committees. They all have in common to give extra powers to established industries (telecoms, entertainment, IT security) starving for control over the Internet. “Net discrimination” amendments could allow operators to discriminate against types of content or services, or to give preferential access to certain services whilst blocking others. Such limitations to the websites subscribers can visit, and to services and applications they can use would mean the end of an open Internet as we know it. These amendemnents would have dreadful consequences for innovation on the network as well for citizen’s Freedoms. European citizens must urge MEPs from IMCO and ITRE to protect their freedoms by voting for safeguarding amendments and rejecting all amendments allowing net discrimination, “three strikes” schemes and privacy breaches. The second reading on the Telecoms Package means a second round of intense lobbying, where corporate interests try to go back on citizen’s basic freedom in order to gain more control over the network. However, the European Parliament has a unique chance of showing citizens its commitment into protecting freedom and equity, since it is only 3 months until the European elections, in June. Network discrimination. The open and egalitarian model of investment and innovation of the network, at the base of its growth, is directly threatened by US telecoms operators looking for more control through “network discrimination”. Within those schemes, operators could create a state of permanent bandwidth scarcity which would allow them to prioritize content, services and applications over others. Such practices would discourage investment in network capacity3Network management measures should only be used to temporarily address network congestion and capacity constraints, when they are due to an attack or any kind of unexpected and unusual event. If the problem persists, the only sustainable solution, for the benefit of all, is to buy more bandwidth. This is the investment model that should be incentivised. More informations in La Quadrature’s dossier on the topic: http://www.laquadrature.net/files/LaQuadratureduNet-20090218_net_discrimination-dossier_and_proposals.pdf/ as well as competition and innovation, and could pose serious threats to freedom of speech. IMCO MEPs must reject amendements 136=137=138, pushed by AT&T, and the related 116, 117=118. Amendments 135, 109, 111, 115 must be voted to prevent “net discrimination”. “Three strikes” graduated response.Although most of the dispositions allowing for “graduated response” schemes in Europe were rejected in first reading, some still remain. New amendments even reintroduce the dreadful notion of “lawful content”, which turns operators into judges of the content going through their networks. ITRE MEPs must vote for amendment 134 and reject amendment 45. IMCO MEPs must vote for amendment 148 . Protection of fundamental freedom. Dispostions protective of citizen’s rights, such as former amendment 138, voted by 88% of the European Parliament, were suppressed by the Council during the French presidency. MEPs must stand strong for their electors’ rights and freedoms by reintroducing them against the Council’s “diplocracy”. IMCO MEPs must vote for amendements 72=146 by Malcolm Harbour/Eva Britt-Svensson (former am.166), and reject am.147 by Jacques Toubon (EPP/ED, FR), that viciously reintroduces “intellectual property” into citizen’s freedom protection. Privacy protection. A very disturbing amendment to the ePrivacy directive, strongly rejected by the European Data Protection Supervisor (EDPS)4More about the EDPS opinion on this issue: http://www.laquadrature.net/en/eu-data-protection-authority-confirms-privacy-breach-telecoms-package, was re-tabled by the rapporteur Malcolm Harbour (PPE/ED, UK). It allows the telecommunications industry to collect a potentially unlimited amount of sensitive, confidential communications data including our telephone and e-mail contacts, the geographic position of our mobile phones and the websites we visit on the Internet. “Net discrimination is an extremely serious threat which could mean the end of the Free and egalitarian Internet as we know it. We must react and inform our representatives to make them understand that our freedoms, innovation and competition are more important than corporate control over the network. Let’s altogether use the Net in order to show them how important it is, and how we cherish it. A few weeks before the elections, the European Parliament must show its commitment to protecting citizens.” concludes Jérémie Zimmermann, spokesperson for La Quadrature du Net. More informations and advice on how to contact your MEPs on the mobilisation wiki page, including links to detailed analysis of all the Telecoms Package Second Reading amendments, to Lawtracks, a tool for comparing the different versions of the Telecoms Package texts, and to ‘Political Memory’ providing details of all MEPs, including information of their previous voting record for the Telecoms Package.